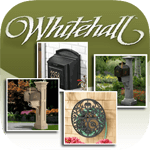 Imperial Mailbox Systems offers an attractive and dependable line of products for homeowners or for new construction and property beautification projects. 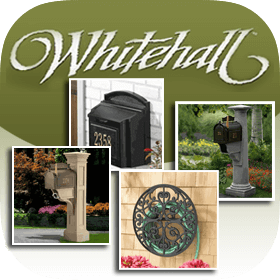 Imperial is known for their quality line of mailboxes, street signs, and lamp posts, allowing homeowners and developers to choose one coordinated design for all exterior accents. Imperial products are built to last and look great for years. Their products are constructed using cast aluminum, coated with industrial strength enamel paint and assembled to the highest quality standards with stainless steel hardware. 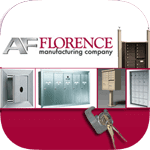 Choose from an assortment of posts, braces, number plaques, and mailboxes to customize your look to your exact specifications. Most pieces are interchangeable to allow full customization of your order. If you have any questions or concerns before placing an order, one of our Customer Care Reps is happy to assist you. 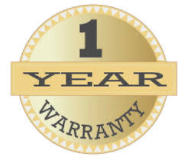 Imperial provides a limited (1) one year warranty covering defects in construction and assembly. Warranty is valid to the original purchaser only and does not cover improper installation, alterations, vandalism, etc. 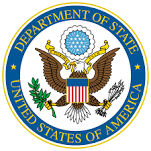 Imperial Mailbox Systems must be contacted within one year of the original delivery date. Please see the full manufacturer's warranty for more details. All Imperial products are constructed of high-quality aluminum and assembled using stainless steel hardware. Aluminum is a strong, lightweight metal that is resistant to rust, making it a great choice for outdoor products. Sand-casting helps to maintain a high level of quality control. Each piece is then coated using an industrial strength enamel paint to provide an appealing finish with professional durability for years of service. Products are offered in a variety of colors, so be sure to browse our color options. 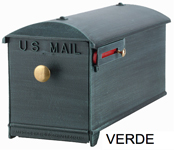 When describing Imperial Mailbox Systems, one word comes to mind: variety. There are many options available from Imperial to consider for every aspect of your order. 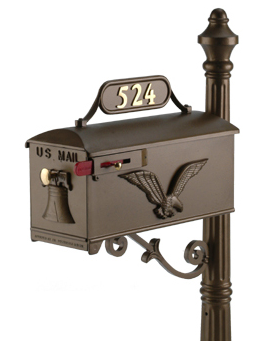 From finishes, number plaques, and support brackets all the way to the finials or optional light fixtures made to adorn the top of your post, Imperial allows for a variety of elegant mailbox configurations. 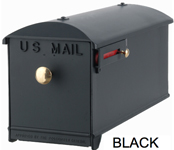 Every number or letter in the package SKU signifies the part included with your Imperial Mailbox package. You may opt to choose each piece individually or choose from one of our attractive pre-designed packages. Either way, we are here to help you find the perfect design for your project. Selecting each individual part may require a little preparation, so please take a few minutes to familiarize yourself with the options. If you do choose to individually select each item in your package, here are a few helpful guidelines to consider when planning your design. Let's begin with the various posts to consider. 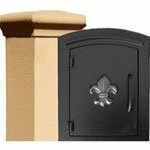 The post system contains a post and decorative bracket, with your choice of stylish base and finial. Every Imperial post is engineered using extruded aluminum for durability and offers a sturdy foundation for your new mailbox. 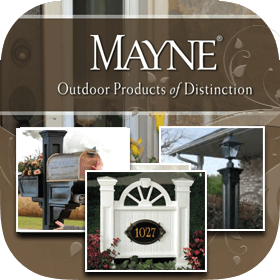 The base and finial are engineered using the same cast-aluminum as the entire Imperial line. Choose your base from the 7 available designs. Bases are designated by numbers 1-8, corresponding to each style. 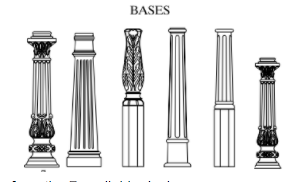 Base styles vary in height and size. Bases 7 & 8 and finials 7 & 8 are only available on the "D" size post. Choose a product with the "T" code before the post number to include a twin mount bracket, allowing the mounting of two boxes to a single post. Larger Estate boxes cannot be twin mounted. Choose a product with the "M" code to mount up to (6) six boxes between two posts. 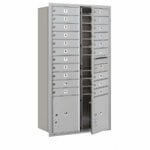 Newspaper holders can be used on twin applications, but not for multiple box configurations. Some bases require the D diameter post, and others the C. Make sure the base and post you select are compatible with each other. Lastly, choose from the various finial options to complete your look. As with the base, finials are designated by SKU numbers 1-8. The "H" option is used for the Horsehead finial, which is offered as a bonus option. 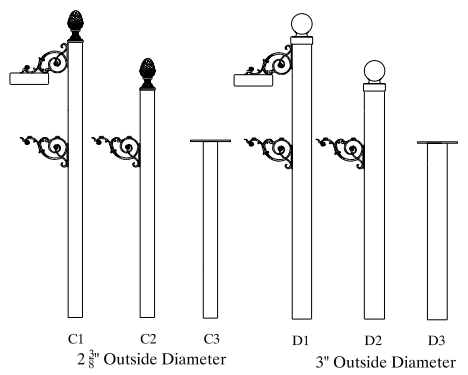 Finials 7 & 8 are only available with the "D" post diameters. 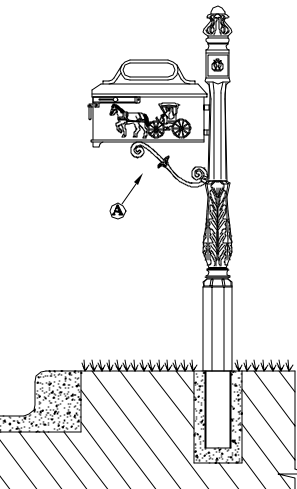 Using a light to cap your post requires the Lamp Post Transition piece instead of a finial. 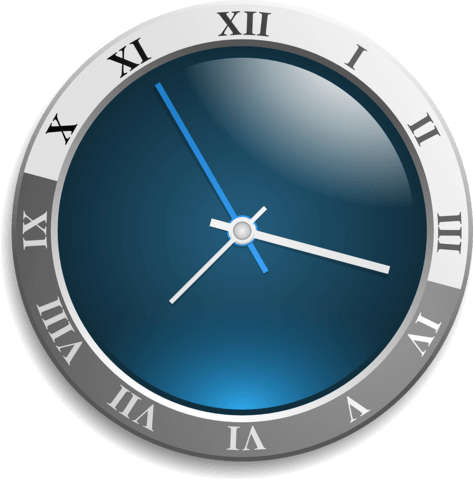 This is an important consideration when selecting your post configuration, but can be added as an option at a later date. (Note: a licensed electrician is recommended for installation of all light fixtures). Once you've chosen your post, it's time to choose a color finish. All Imperial products are coated with the same industrial strength enamel to resist weathering. 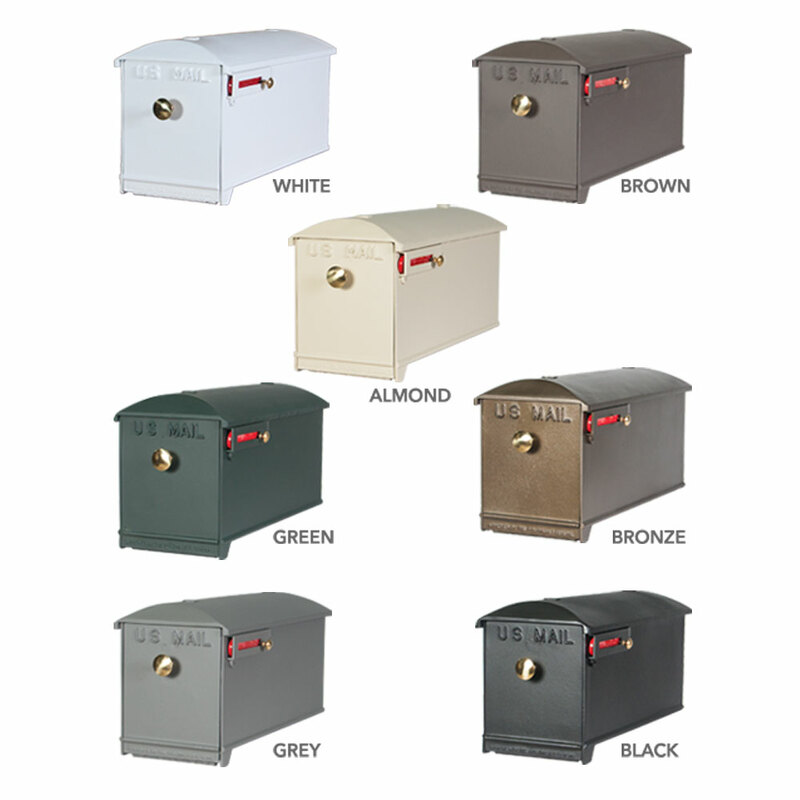 So, any color you choose from the seven (7) available options doubles as a rust and water-resistant paint job, protecting your mailbox for years to come. As with other aspects of your design, you can choose from several variations on the Imperial address plate. Address plates come in box mount or post mount configurations. However, it should be noted that some top mount number plates are only available for use on certain mailboxes. 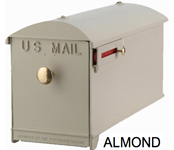 For example, a #8 plate will only mount to the #8 mailbox due to the flat bottom of the plate and flat top design of the mailbox. Likewise, the #4 post mount plate can only be attached to certain posts. Two-inch and Three-inch brass numbers are available for specific plates. Numbers are attached using an adhesive. If purchased with a mailbox and number plate, the numbers are adhered to the plate before shipping from the factory. The number heights vary depending on which plate you purchase. Imperial mailboxes are engineered to last for years. 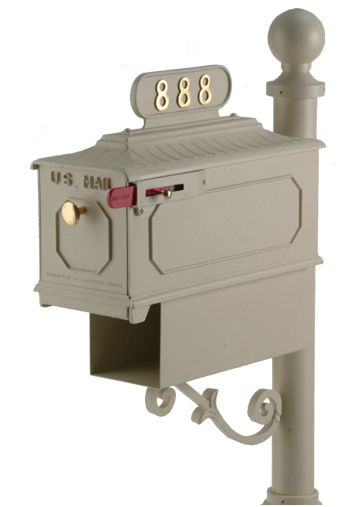 The Imperial design is offered in the standard USPS size, as well as the larger Estate Size mailbox for rural areas. The Estate box is 45% larger than a standard box. Not all post options are available when opting for the larger Estate size. 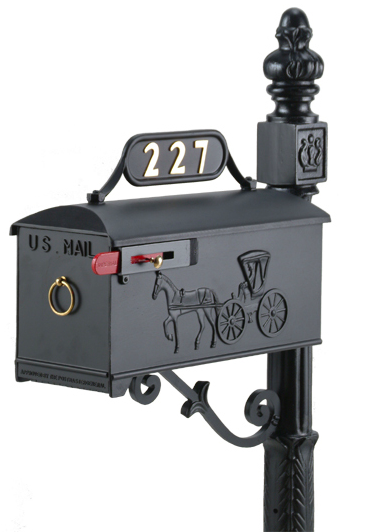 You can choose from a variety of door and side adornment options with the Imperial mailbox. Also, make sure the address plate you choose is compatible with your chosen box. You may want to spend a minute looking over the selection. 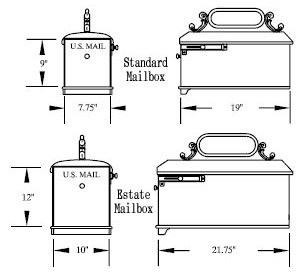 Please refer to the options before finalizing your mailbox design. Once you have selected your mailbox, you can choose between a brass knob or brass ring for the door of your box. 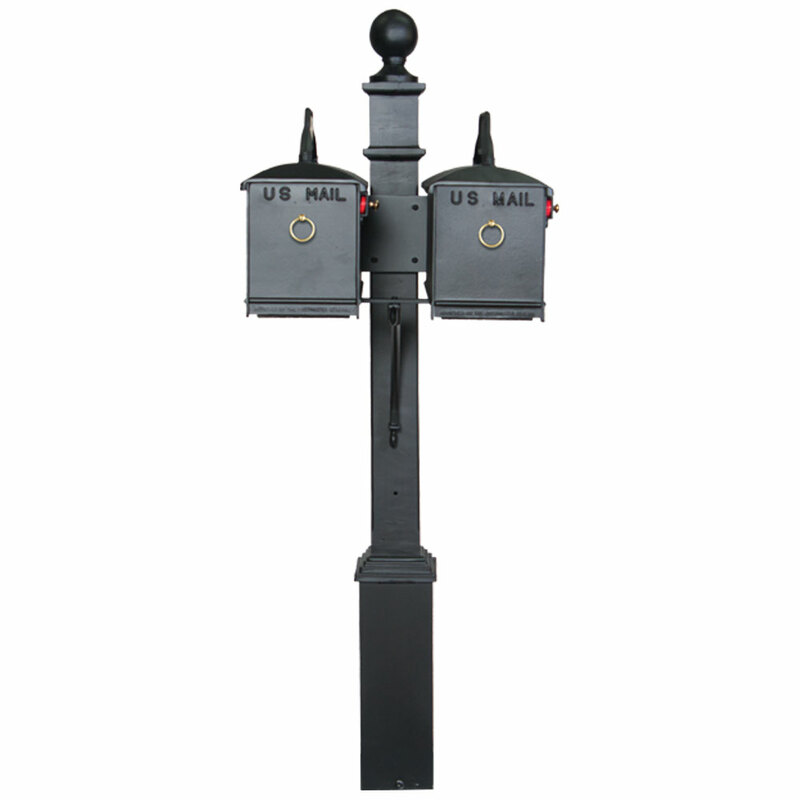 Imperial Mailbox Systems offers a wide range of parts and accessories to enhance your curb appeal. An optional newspaper holder may be attached to most Imperial configurations. 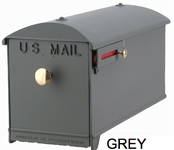 Newspaper holders are made of cast aluminum and attach securely to the bottom of the mailbox with the use of stainless steel hardware. 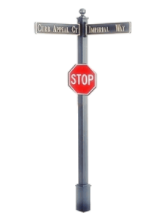 Eight-foot street sign posts can be configured to perfectly coordinate with the look of your mailbox system. 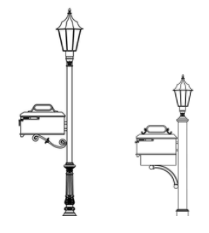 This is a great option for the developer or estate owner who would like to maintain a matching style with mailboxes, signs, and street lamps. 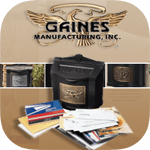 Street signs can be mounted directly to the post or by using a stylish bracket similar to the address plate bracket on your preferred mailbox system. There are predesigned street sign configurations to select from as well. All signposts configurations are DOT approved. Browsing this section of our brand page may assist you in creating your customized pieces. 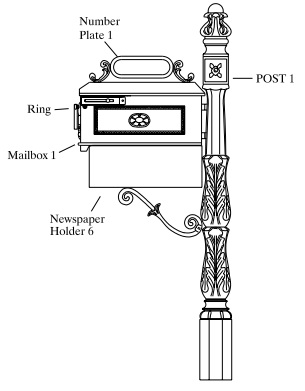 A lamp post can be designed to match using the eight-foot post, or an exterior lamp may be a welcome addition to your selected mailbox/post design. 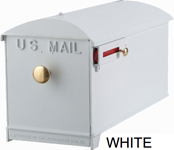 Studies show that a well-lighted mailbox is less likely to be robbed than one without any lighting. If you decide to illuminate your box, you may purchase the available lamp fixture adapter as an option to attach between the post and your chosen exterior lamp. The Imperial Lamp Adapter replaces the finial on top of the post. Remember, a licensed electrician is recommended for all lighting installation. 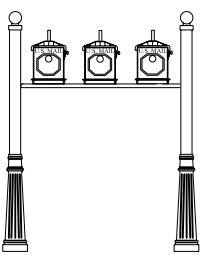 See our Imperial lamp post page for more info. Plate extensions bolt to the post, allowing the mounting of a mailbox on two opposite sides of the post. This is a great option when two residential addresses utilize the same delivery space. Twin Mailbox Posts are already configured this way. 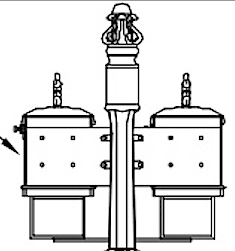 A multi-plate is offered to mount at least three (3) and up to six (6) mailboxes between two posts. Please be aware that a newspaper holder cannot be attached when utilizing the multi-box configuration. 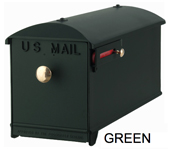 You can view our selection of multi-mailbox configurations here. 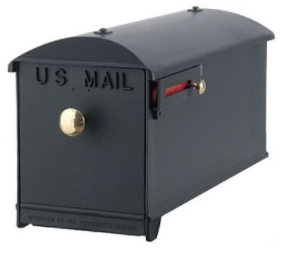 Still need help creating your own Imperial Mailbox system? No problem. 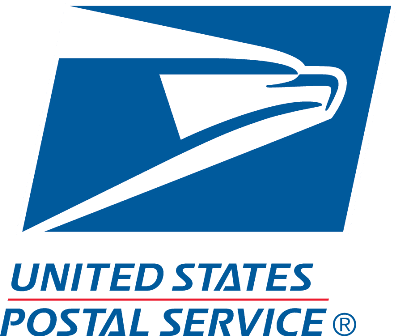 If you would like one of our Product Experts to guide you in configuring the right mailbox and post combo, please give us a call at 1-866-707-0008. Thank you for your interest in Imperial products. We hope to make your experience as informative and stress-free as possible. Want to know what to expect from the assembly and installation process? We have you covered. You can review assembly and installation instructions (link opens a PDF) for all Imperial Products, or read our brief overview below. 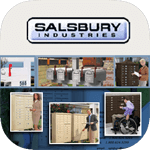 Completely assemble mailbox unit. Dig hole approximately 16 inches deep, using a post-hole digger, and install mailbox post in concrete. Place the entire assembly's post into the hole. Align box with curb line. If necessary drive a stake into the ground 3 or 4 feet behind the post. Tie a string from the stake to the top of the mailbox post, to keep it plumb.